Tour the Everglades or sprawl out on the beach. 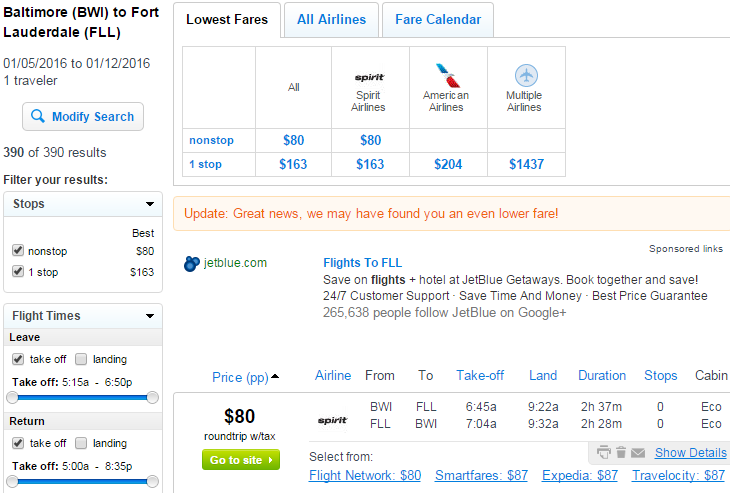 Nonstop flights from Baltimore to Fort Lauderdale are available for $87-$97 roundtrip, including tax. 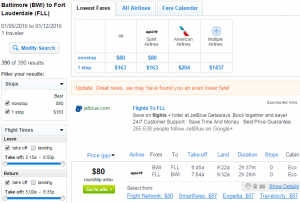 Fly Spirit Airlines November-February and save up to $100 compared with current fares. 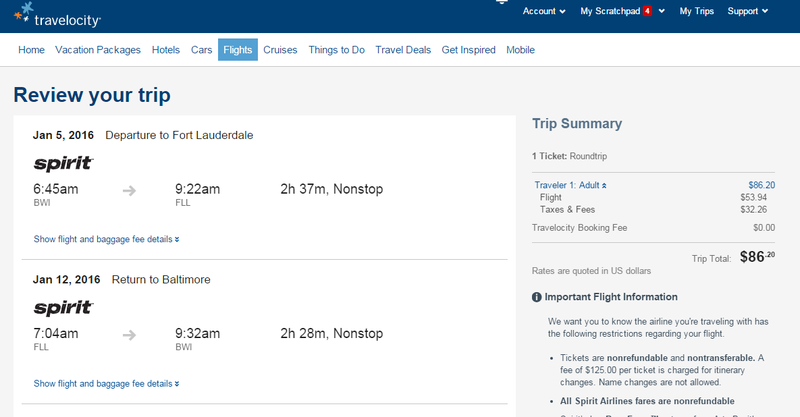 Note: Spirit Airlines charges $21-$45 depending on when fee is paid. 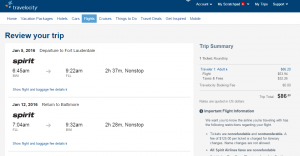 Check our baggage fee chart for more information.